I'm not sure if this is actually a treat, but it's alliteration and I couldn't think of a better title. And to me, smoothies are treats; I've always loved them. I can't cook at all, but I think I'm pretty darn good at making smoothies. Although I don't know if one can actually be bad at making smoothies since it's really easy, but I do find mine to be as good if not better than many I buy at juice bars and smoothie places and MUCH cheaper. I've been snacking on the frozen mango while I make this smoothie and it is SO good. I think when everyone went through that mango craze of making salsas and chutneys out of it, I forgot how tasty it is all on its own. I like it better that way, and there's something really great about it frozen. For this smoothie I put about a cup or less (I don't really measure) of coconut water, one banana and about a handful or so of the fruit and spinach. If you use frozen fruit, you don't even need ice. I recommend pouring the coconut water in first to help everything blend more smoothly. Don't worry if it looks a little weird when it first starts blending; you probably need to stop it once or twice and stir before blending again. 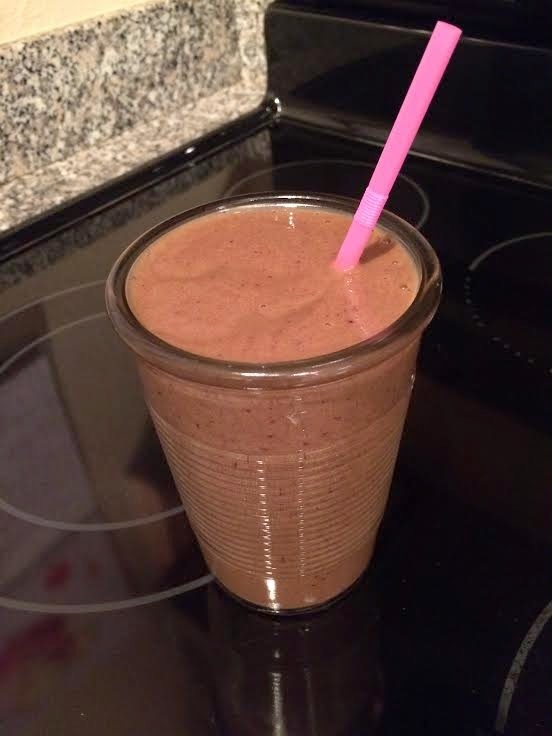 This smoothie is packed with antioxidants, and you can't even taste the spinach. 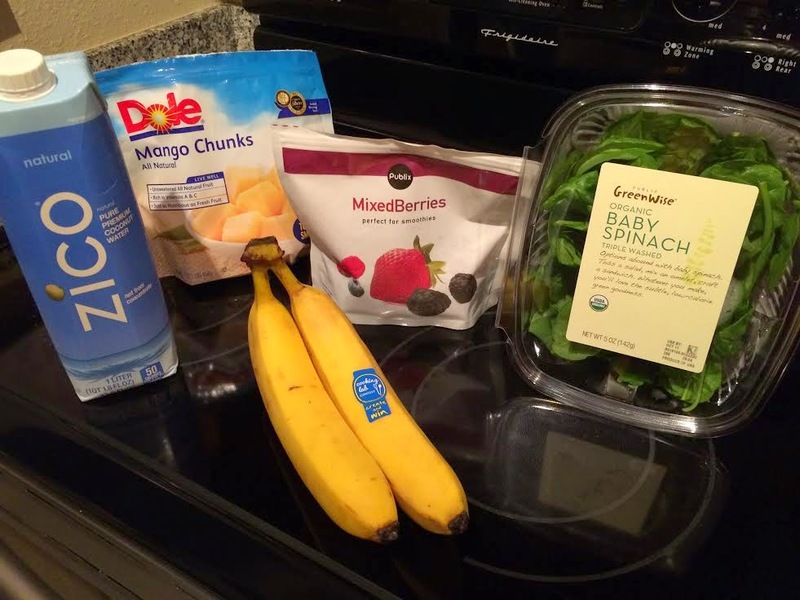 Also, you can mix and match the ingredients to make other smoothies. My standby is a blueberry banana smoothie with milk and ground flaxseed. Pour coconut water into blender first. 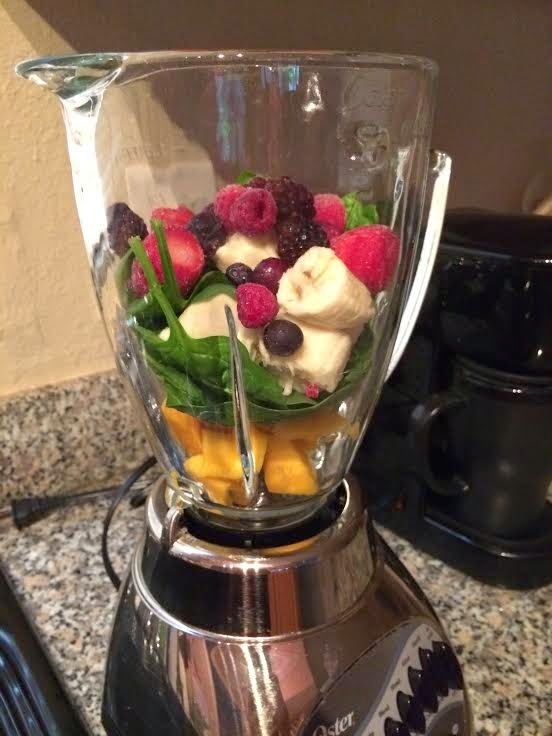 Break banana into pieces, add fruit and spinach. Blend for about 10 seconds, stop and stir ingredients if needed. Blend again for about a minute until smooth.